Phoenix Display International PDIG-24012827C(R)-VA is a small-size 5.2” monochrome liquid crystal display (LCD) with a module size of 159.4mm x 101.0mm x 11.5mm and active area of 119.98mm x 70.00mm. 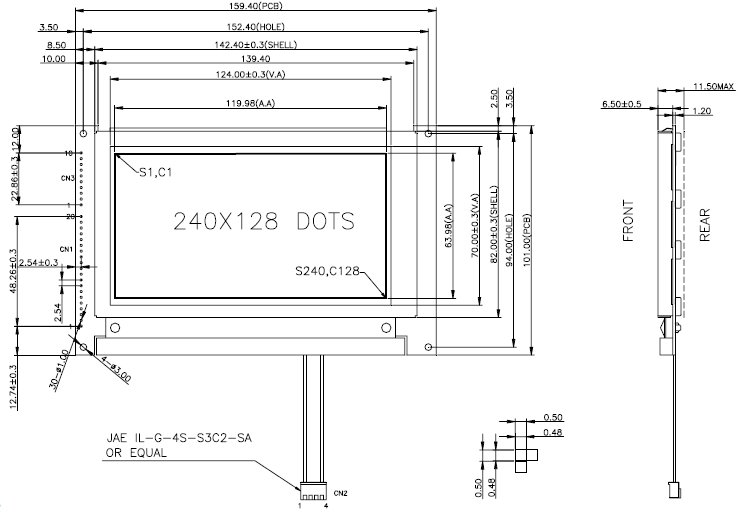 This product is STN, Negative, Transmissive glass with a 240 x 128 resolution. Using an LC7981 driver attach is a chip on board (COB) construction. This product offers improved contrast, color saturation and response time. Similar product(s): None. All our Graphic displays products can be modified to be transmissive, transflective, or reflective, and touch panels can added or removed upon request. Display type and backlight color of the LCD can be customized per request (there may or may not be tooling associated with this customization).